In 2014, the Marin Independent Journal featured our Marin Handmade collective on the first page of its holiday gift guide, written by Judith M. Wilson. This year Judith included two of our most active members (on page 4); Charlene Lundgren Frischer for her felting and handmade bears (www.etsy.com/bearsouls), and Karen Giles for her nuno felted scarves and bangles. Congrats! We are looking for a link to the article online, but in the meantime, here is a photo showing Buster the bear (he’s waiting for you to take him home)! We found it! Click here to read the entire article online, and also learned another one of our members, Virginia Simpson-Magruder is mentioned, for her soldered jewelry (on page 6)! She will be at the Marin MOCA Open Studios this year. 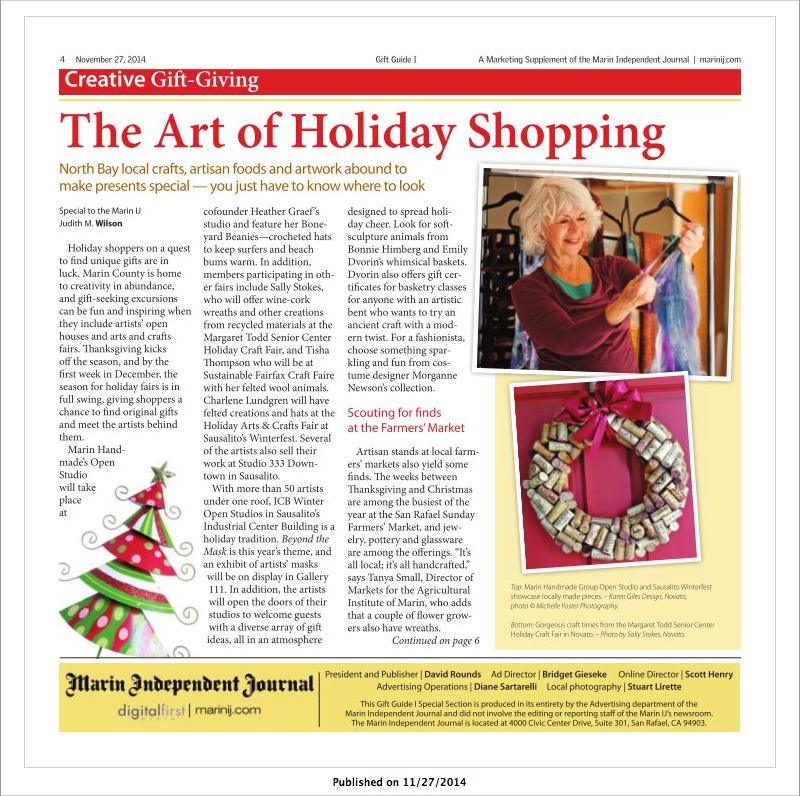 The Marin IJ published “The Art of Holiday Shopping” in their Gift Guide insert on Thanksgiving 2014, and featured our Marin Handmade collective on the first page! 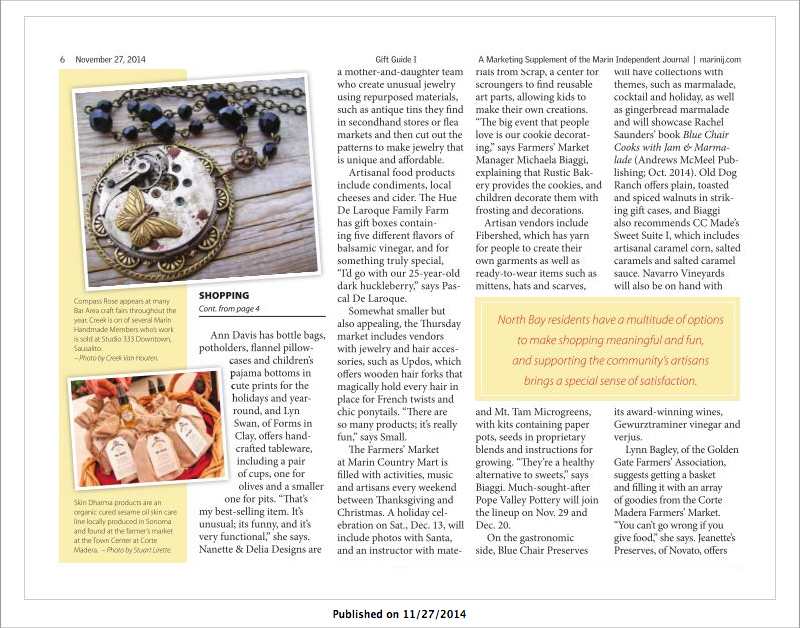 Note photos of Karen Giles Designs, Wreath by Sally Stokes, and Jewelry by Compass Rose. Other Marin Handmade members mentioned for local holiday shopping venues are Heather Graef, Boneyard Beanies, Tisha Thompson, and Charlene Lundgren. Congrats fellow MH members on our first major newspaper press mention!